If pressed to reveal my favorite restaurant in the world, there would be many that could come close but none that could touch Vittorio Fusari’s Dispensa Pani e Vini in Franciacorta. I wish I had time to recount my meal and conversation with Chef Vittorio in its entirety. But for the time being, these images will just have to do. 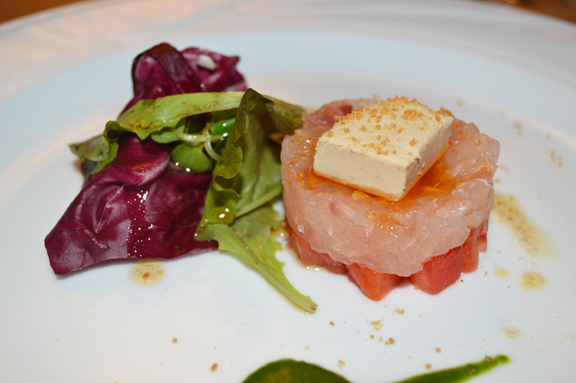 That’s a sturgeon pâté atop a tench tartare on a bed of raw tomato, above. 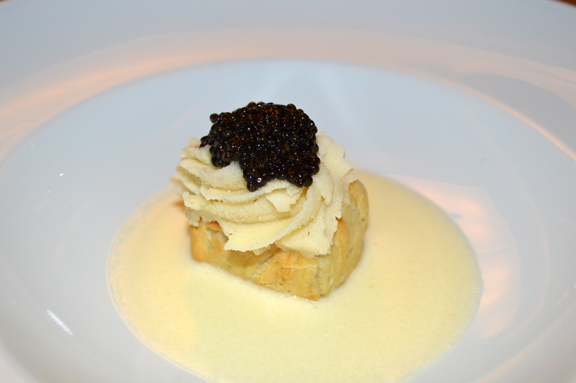 Lombard sturgeon caviar over potato purée in savory pastry. Did you know that Brescia province is one of the world’s top producers of caviar? It’s a fascinating story that I’ll share when I have more time. 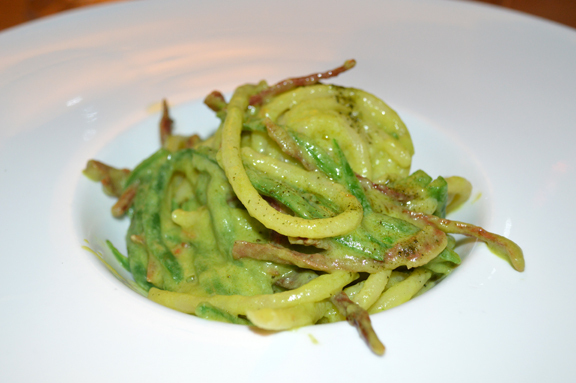 Spaghetti with green beans and cured coregone (fresh water European white fish), simply stupendous. The thing about eating Vittorio’s food is that it’s so thoughtful and so wholesome: you feel great the next day even after over-eating. Thank you again, Chef Vittorio, for an unforgettable evening.